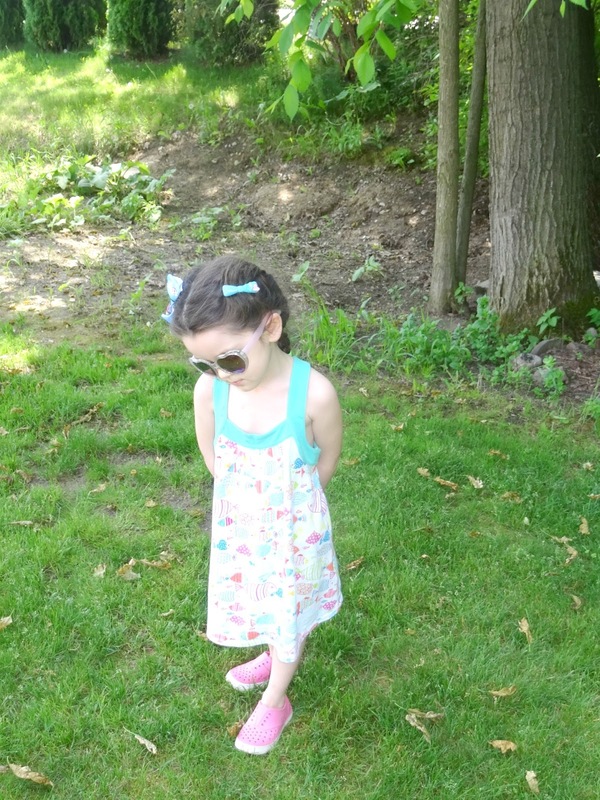 Thursday Moda #117: Memorial Day Casual. Happy Thursday Everyone! It rarely happens that I post an outfit that I wore that same week... but today is one of those days. 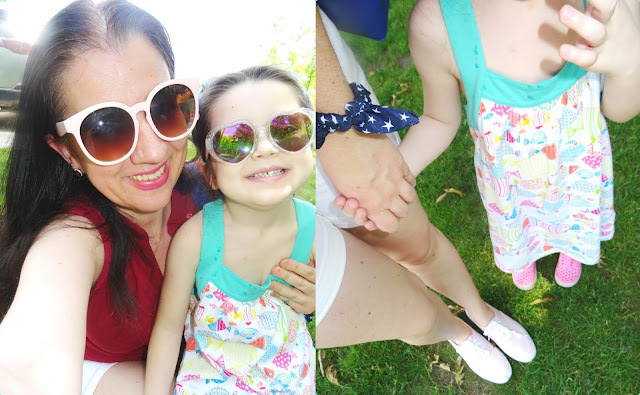 Vivian and I wore these breezy, comfortable Summery looks this past Monday for Memorial Day. =) And speaking of my sweet girl Vivi, you guys love it when we do our Mommy+Me posts so this week I got two of them, two in a row actually. 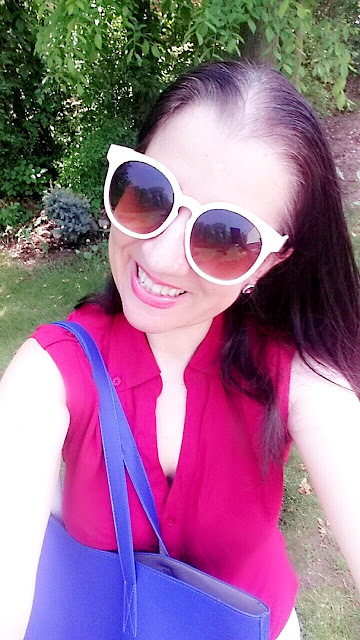 Well, in yesterday's post I talked about my special dates with my little girl, how we love going out for coffee, ice-cream, lunch, visiting a cute down-town or going to a park, the library, etc. On Memorial Day (this past Monday) since it was a very hot 93 degrees, I took Vivian to the local mall for her to play at the indoor playground. We grabbed some cool drinks and some snacks there too. If it was up to me, we'd rather go to the beach but we have been fighting a cold (both of us) for over a week (we still have a harsh cough) and though the temps were super hot, our Michigan Winter was long and freezing so the lakes' water is super cold. If my outfit isn't a Mom Shorts Look I don't know what is. I kept it super casual and sporty (a total mom look) because as I said it was super hot. But of course I had to honor all those who have fought for this amazing country, so I wore White Denim Shorts - speaking of these shorts, I love that they are like a medium length and perfect for a mom - with my Red Sleeveless Button-Down Shirt (tucked inside them) and a Royal Blue Faux Tote Bag. 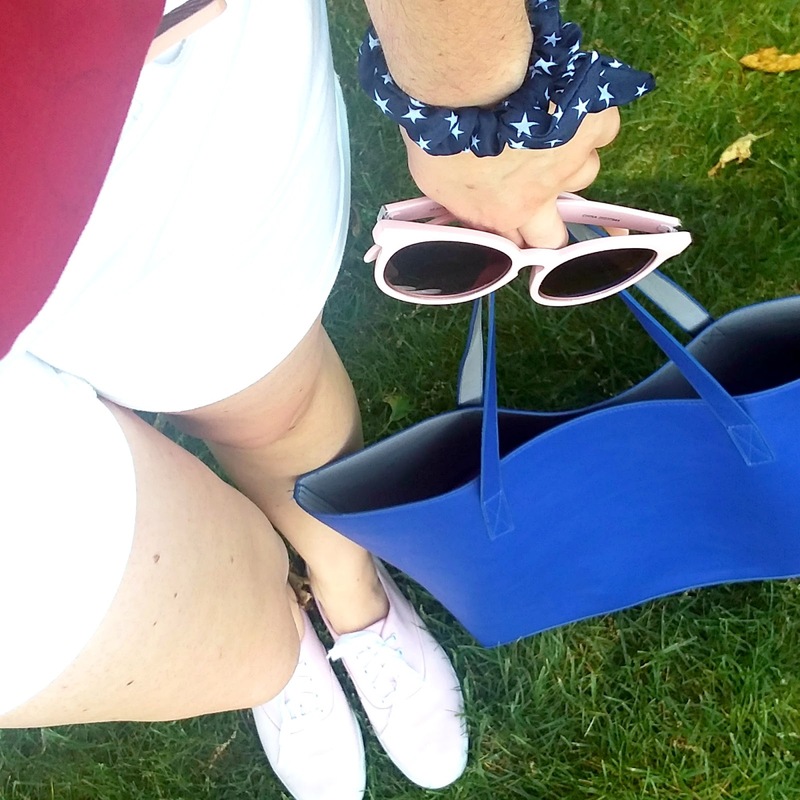 Now, I could have gone for some Crisp-White Sneakers but I added touches of Pale Pink to my patriotic Red+White+Blue Outfit, with my Pale Pink Keds, Pale Pink Skinny Belt and Pale Pink Sunnies. I love that the Keds logo (on the back of my sneakers) is in Navy Blue and I added that Navy Heart-Print Ponytail Holder to my wrist as a bracelet. Kept the rest of my jewelry and makeup super simple due to the heat and JUST wore my Pomegranate Circle Studs. 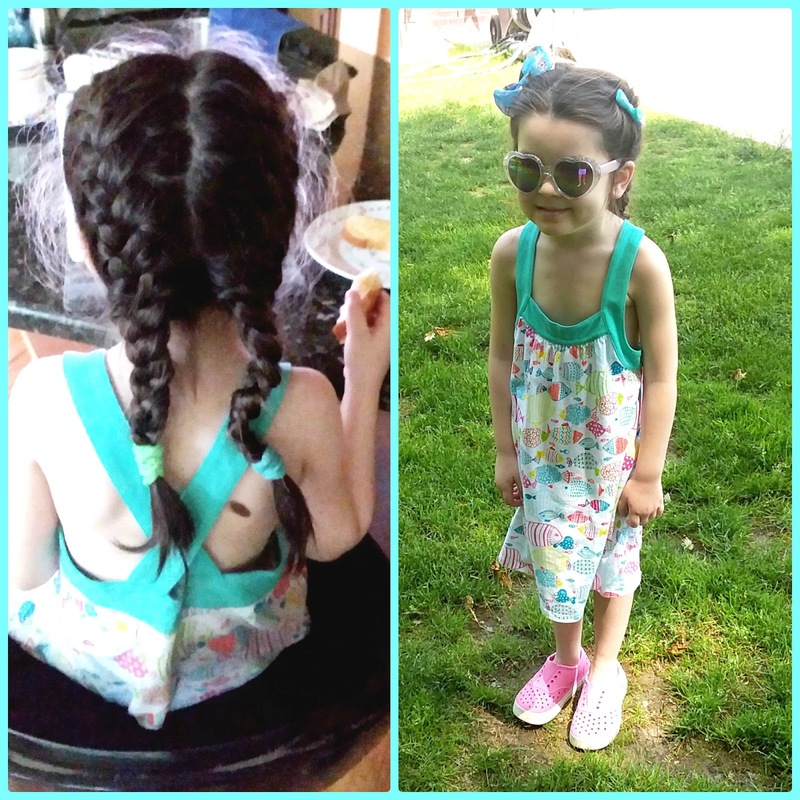 Vivian in her adorable double French braids wore her 'Fishy Dress' as she calls it (by Land's End - I love the kids' clothing line) with her Hot Pink Perforated Foam Sneakers. I ended up buying Vivian a few new Summer clothes at the mall, so when we got home she too joined the patriotic parade and I put her in a Tie-Dye Red/White/Blue Tank Top I had just purchased. The only thing I hate here is how pale my skin looks! Yuck! This selfie is snapped with my phone but it was my favorite photo I took that entire day and one of my favorite selfies this year. There is something about a smile. I mentioned it in my last Thursday Moda post, also. This smile was genuine and I look 100% like me. Despite dealing with the heat while shooting these photos, I still managed to spark a real smile. Someone even called me 'dashing' when I posted this particular photo on my social media accounts. 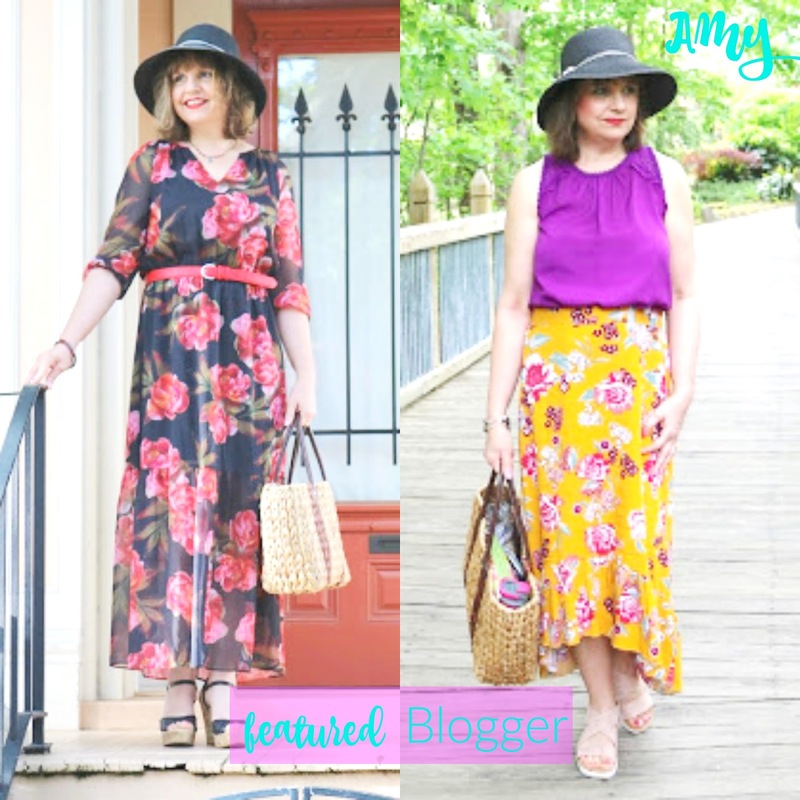 This week's featured blogger is AMY of Amy's Creative Pursuits featuring not one but two romantic Summer looks as she remixes that pretty and versatile black floppy hat. First, we saw the lovely Amy in a Black Maxi Dress with gorgeous red roses complete with versatile black wedge sandals and an oversized neutral straw tote. But I just love all the colors in her other outfit featuring the super gorgeous marigold floral midi skirt. Amy is a Midwestern Mama and Grandma who wears a lot of colors and her outfits are always super flattering on her. 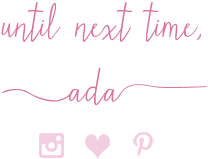 You should check out her stylish blog for more inspiration and nice Stitch Fix reviews, too. Joi's 'Daytime Sequins' in her yellow bouquet of a skirt are stunning. It amazes me how she found a tee that matches the skirt perfectly too, and it all looks like a fancy fairy dress! Just a beauty! Jodie and her crew of fashionistas are 'Dressing Up Denim'. Love her navy over navy pairing of a button-down with a vest. The masculine vibes in her outfit are so modern and chic. Ash reminded me to wear my cascading olive green long vest over a pretty Summer dress. But it is really her 'Striped Sandals' with the knotted straps I am dying over! Jess 'Lemon Top' looks crisp and fresh with her white skinny jeans. Those colorblocked yellow+white statement earrings match perfectly and I love her circle straw crossbody. Cheryl shares 'What to Wear with a Wrap Dress'. She looks like a class act in her wrap mini dress. Great styling!